A walk up the Mt. 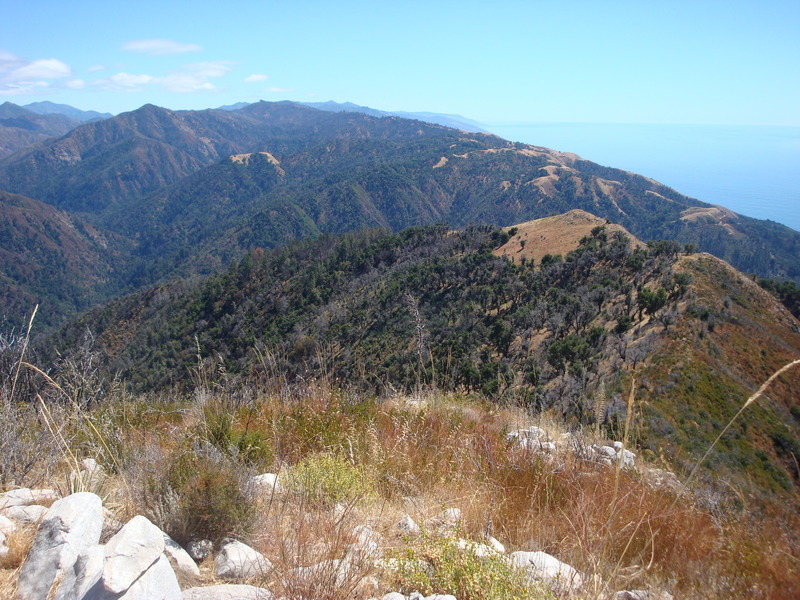 Manuel Trail (or Manuel Peak Trail, if you prefer) can be brutal on a hot summer day. That’s why we waited for a mild autumn day to make the trip. 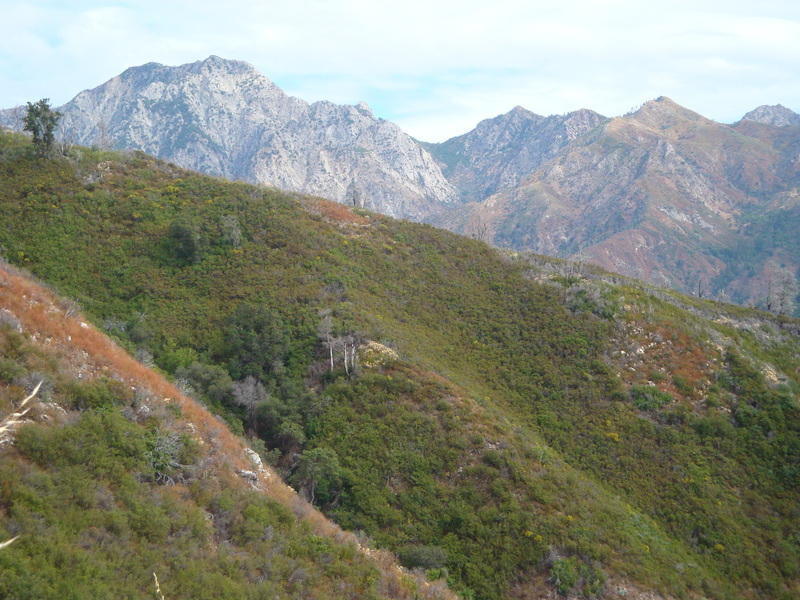 Notice how the deerweed (Lotus scoparius) that turned these hillsides yellow when it was in bloom a few months ago has now turned the hills a rusty brown as the flowers dry out. 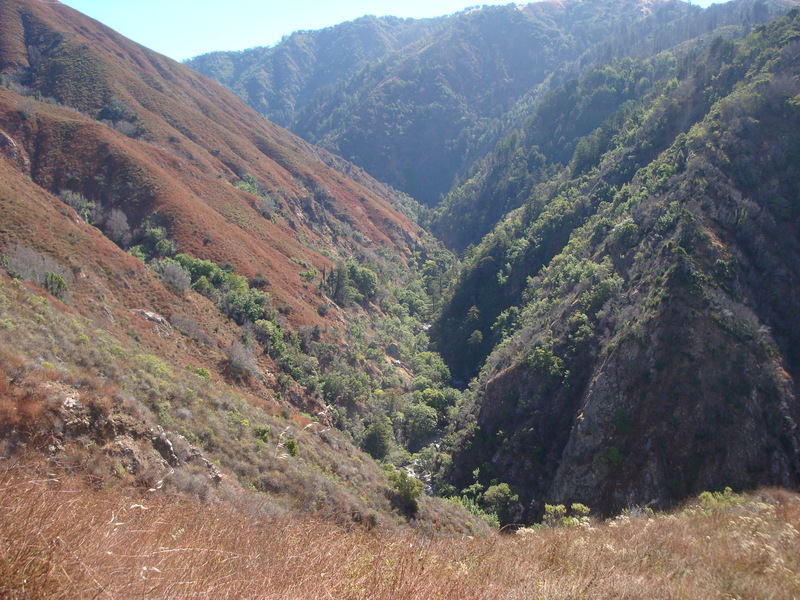 The Big Sur River sure looks inviting from up here in the sun. 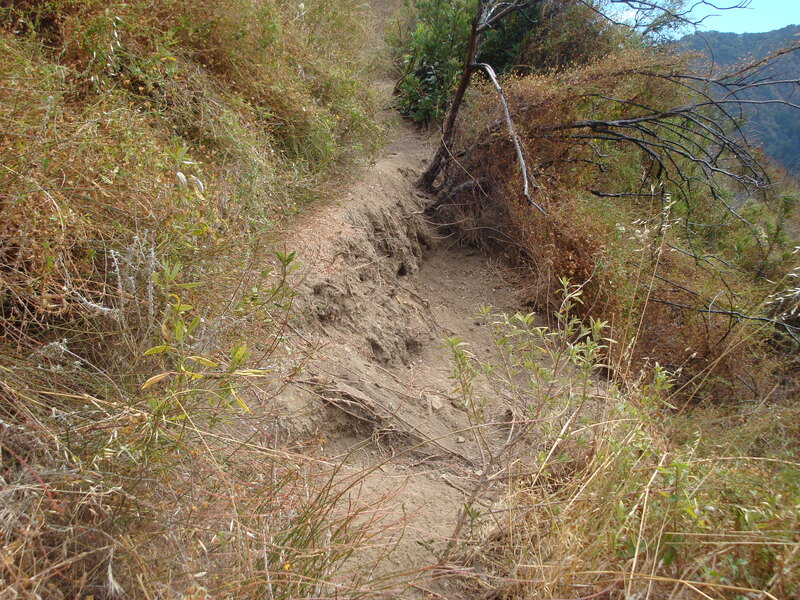 A lot of recent work has been done on the lower portion of the trail. This section has even had its sides trimmed with a weed-whacker. But when the trail reaches the first patch of woods it kind of goes to pieces. Deadfalls and reroutes are everywhere. 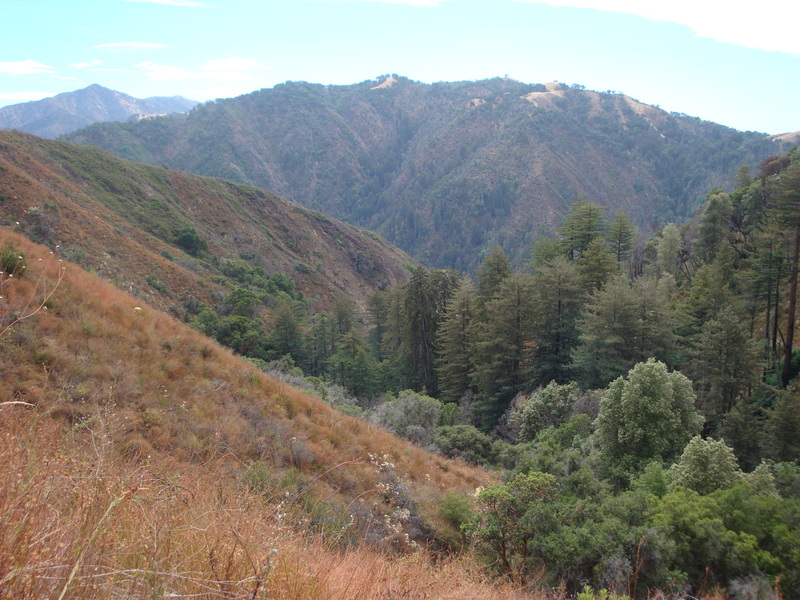 Surrounded by heavy brush and far from the moist canyon bottoms where the big trees do their best, the highest grove of redwoods still came through the fire in fine shape. Not a single tree appears to have been lost. The trail has fared less well. 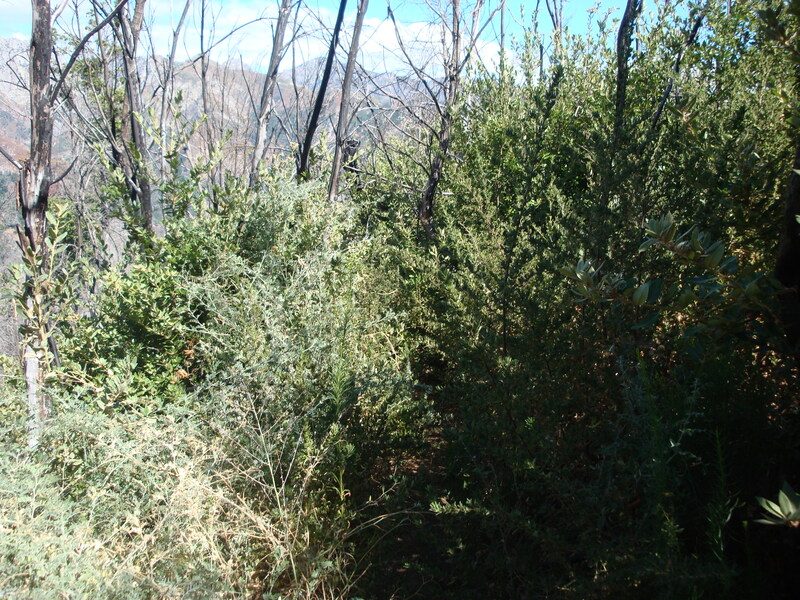 The deerweed crowds the uphill side of the trail. 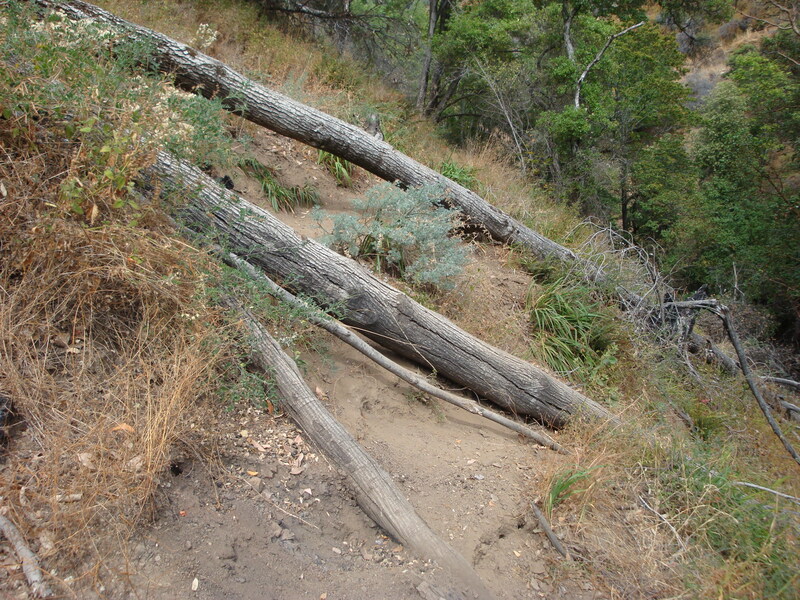 Walkers move to the outside edge of the trail to avoid it. 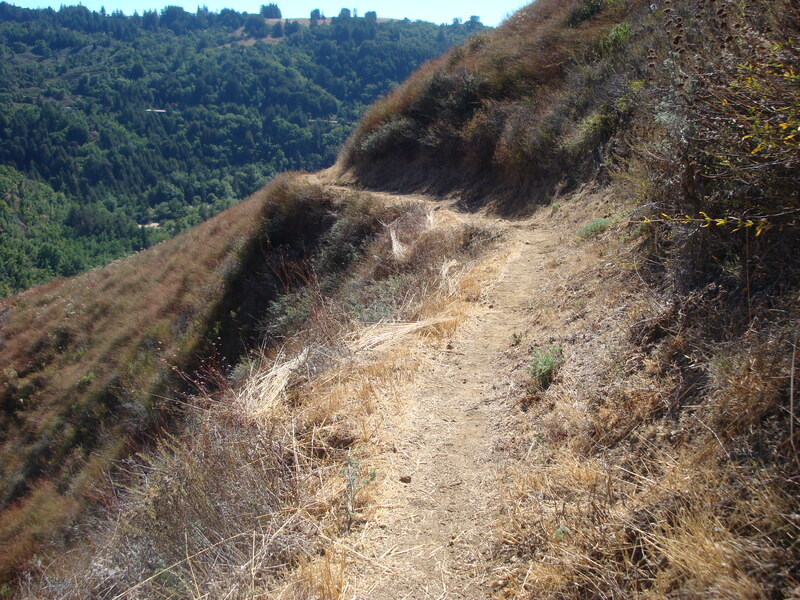 The edge of the trail begins to give way … and pretty soon it looks like this. 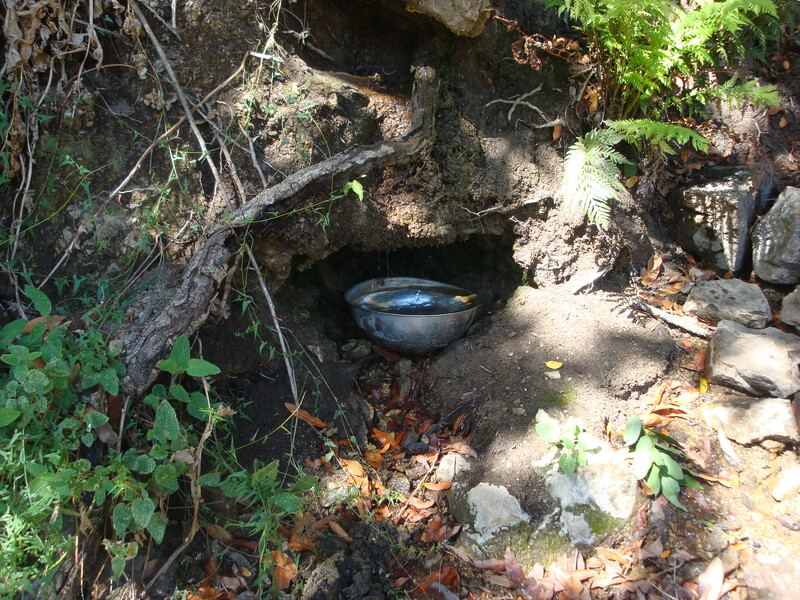 Just below the trail, Manuel Spring is the only water between the trailhead and the summit of Mt. Manuel (and for a considerable distance beyond that). It may be only a seep, but many sufferers (ourselves included) have sucked and squeezed precious drops of water out of this mud in years past. No need for that now. Someone has helpfully placed a bowl beneath a slow drip. We round a high shoulder of the mountain and the Ventana Double Cone comes into view. Encroaching brush. Yes, this is the trail. 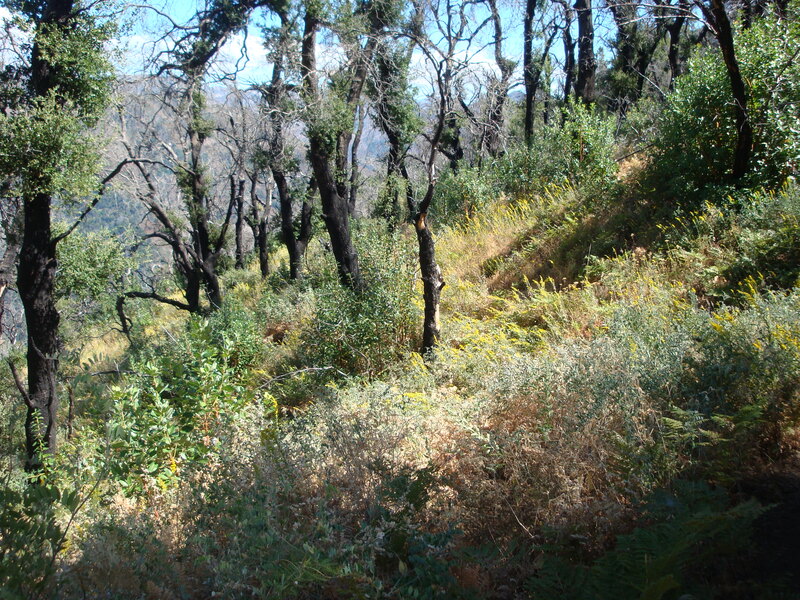 An explosion of post-fire growth. 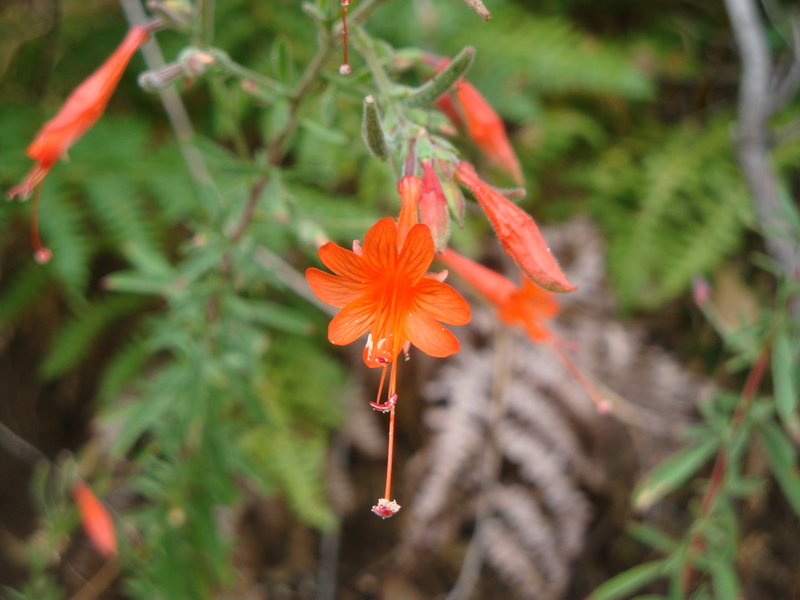 California fuchsia (Epilobium canum) growing under oak and pine near the Mt. Manuel summit. 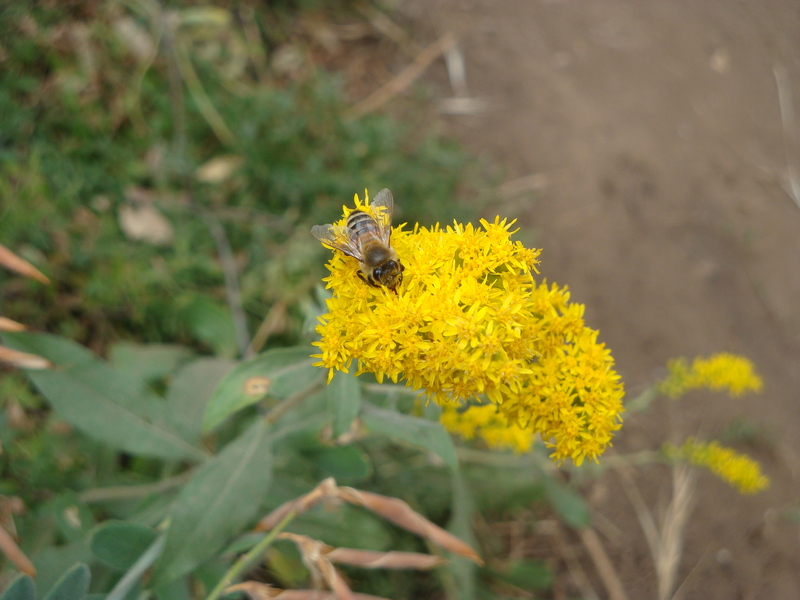 A honey bee luxuriates in California goldenrod (Solidago californica) flowers. Everything from Black Cone and Pimkolam to Mt. 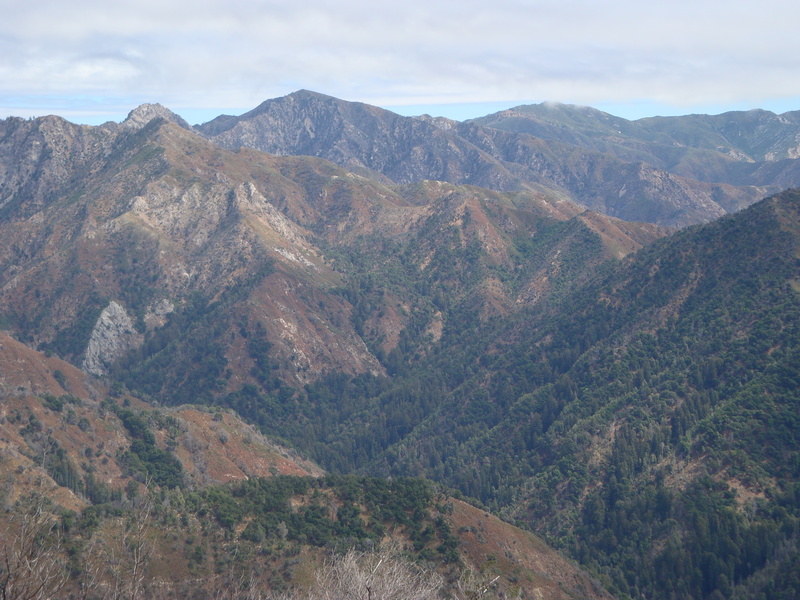 Olmstead, Cone Peak and the South Coast. The views from Mt. Manuel are amazing. Ventana Cone and South Ventana Cone (partially obscured by clouds). Ventana Creek in the foreground. 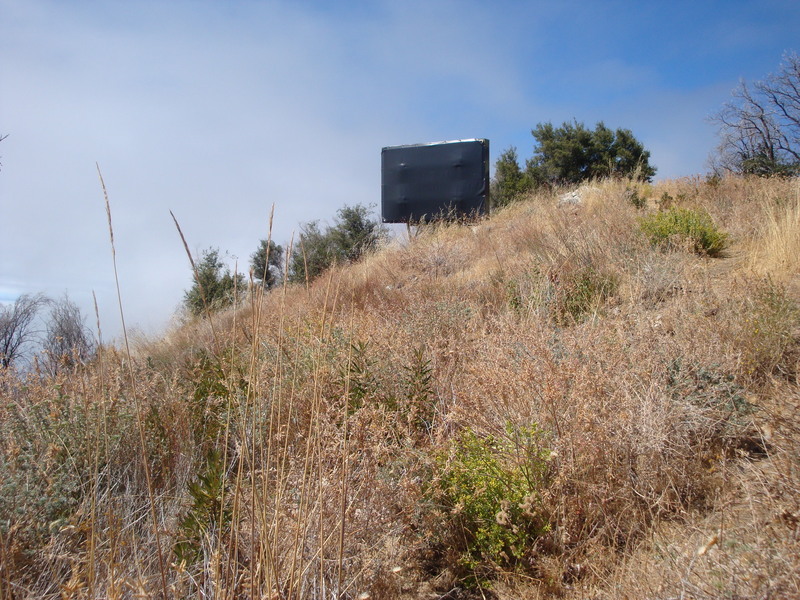 Conceptual Art: The famous “Black Billboard” on the Mt. Manuel summit ridge. Pt. Sur, as seen from the summit ridge. … and then back down. 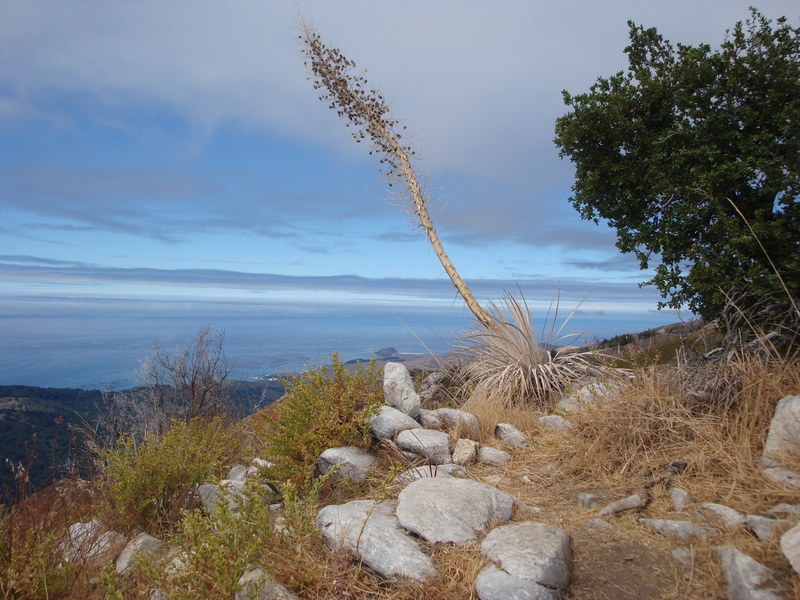 This entry was posted on Sunday, September 19th, 2010 at 10:28 pm and is filed under Big Sur, Insects, On Foot, Plants, Santa Lucias, Wildflowers. You can follow any responses to this entry through the RSS 2.0 feed. You can leave a response, or trackback from your own site. thank you so much for your wonderful posts. it has been a long time–about fifty years–since i was up mt. manuel. glad to see it again. Love the photos from Mt Manuel. For me too, it has been many years since I have seen those sights. What a wonderful day you picked. Thank you!! 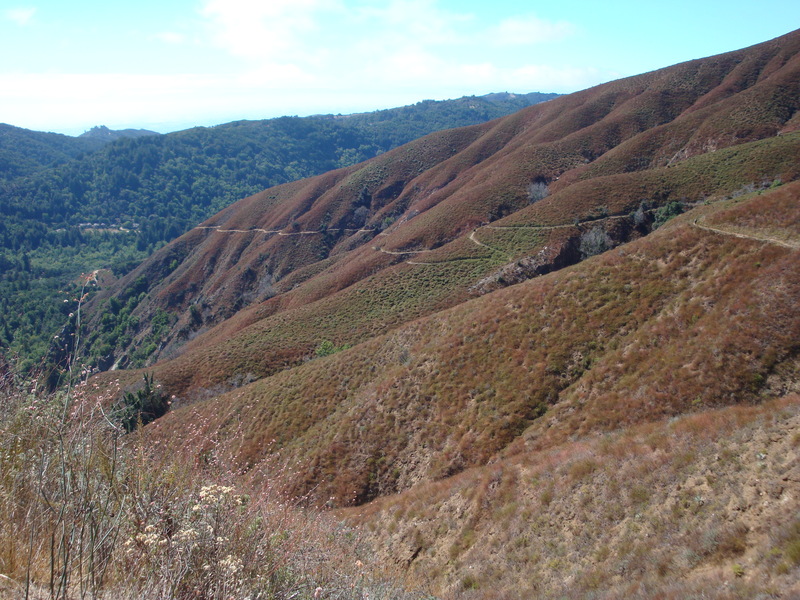 I just completed (07/15-16/2015) the East Molera Trail to Mt. Manuel. I met one other man on the trail going in the opposite direction too. 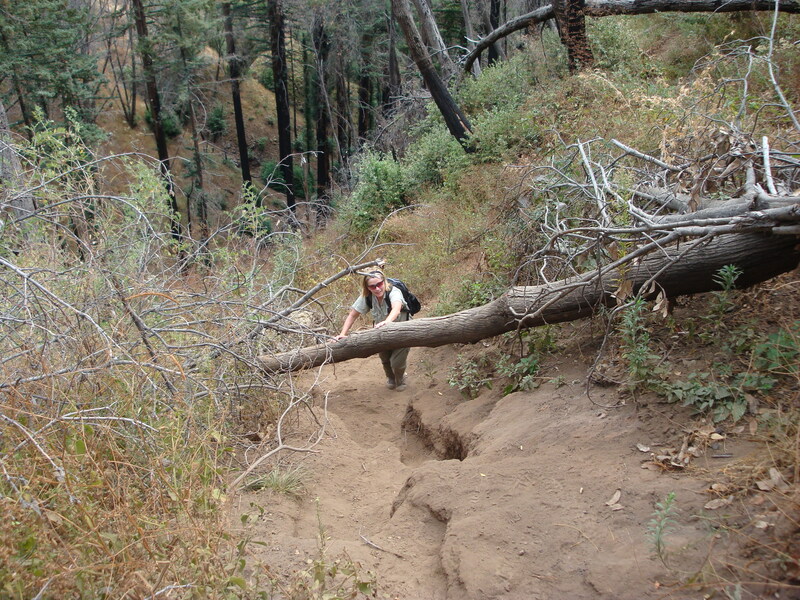 Yes, the trail is hard to follow and heavily overgrow. In some spots it appears maze-like, I followed more than a few dead-ends through very heavy brush. I’m no mountain man and I am 57 years old, and found it difficult, but a relatively young trailblazer could easily do this as a day hike. 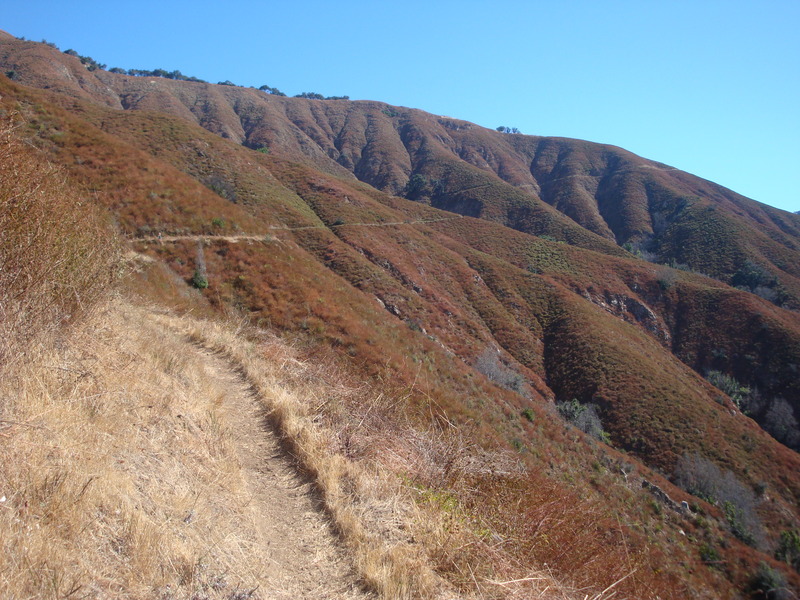 I recommend starting a Molera, mainly because it is mostly overgrown on the Manuel end, and by the time you hit the overgrowth you’re pretty much committed to moving on because it’s too late to turn back. I always have to start late because I take the 22 bus to Big Sur, so I have to pack loads of crap to camp the night. Having a heavy pack made it really tough to get through many areas, but I nonetheless did it. Email b@nnon.us if you have questions. Oh, what’s the deal on the famous “Black Billboard” on the Mt. Manuel summit ridge? I’d really like to know the story on this one.